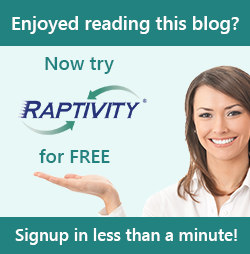 Raptivity - Rapid Interactivity Building Tool: Are Flash Cards good for Learning? Flash cards are a great way to study and they have been in use for a long time. Why should we use Flash cards? These are not only effective learning tools but are also founded on the principles of spaced repetition of learning content. In the general sense, flash card is a set of cards which has information in the form of words or numbers on either or both sides. Students can build their own set of flash cards for private study even for online use on mobile phones and tablets. Its use is prevalent in the study of vocabulary, historical dates, formulas or even information that can be learned via images. Nowadays, flashcards are even being used for study on the bus or train and across the industry verticals for training and learning. Repetitive viewing the flash cards ensures that you retain more information with minimum efforts. Let us see Raptivity samples which reveal the advanced features of flashcards in action. Boston Consulting Group (BCG) Matrix is renowned corporate portfolio analysis tool which provides a graphic representation for an organization to examine different businesses in its portfolio. Sounds complex? But this matrix has been explained very plainly with an interactive flash card. In the above example the four cells of the BCG matrix known as stars, cash cows, question marks and dogs are represented with flashcards and when the learner flips it, they get more information about each cell. Apart from the flash cards, the audio/video clip gives additional explanation about the BCG matrix. A really easy and simple method of learning by just adopting the information to Flash card interaction model. The second example shows us Food Facts. How simple to teach about proteins, carbohydrates, etc with simple and colorful images? All this is possible with Raptivity where you can add images aiding the learner’s memorization. Of course, flashcards can be used in numerous other ways to enhance the learner’s visualization and assimilation experience. Information can be adapted to the new age methods of learning with interactive flashcards from Raptivity. Get creative with your learning now. Download the free trial.